A few years ago there was no electricity. And when electricity arrived, it could only be used a few certain hours per day. Now there’s wifi, a couple of fast boat companies and as many hostels and bungalow resorts as local villager’s houses. 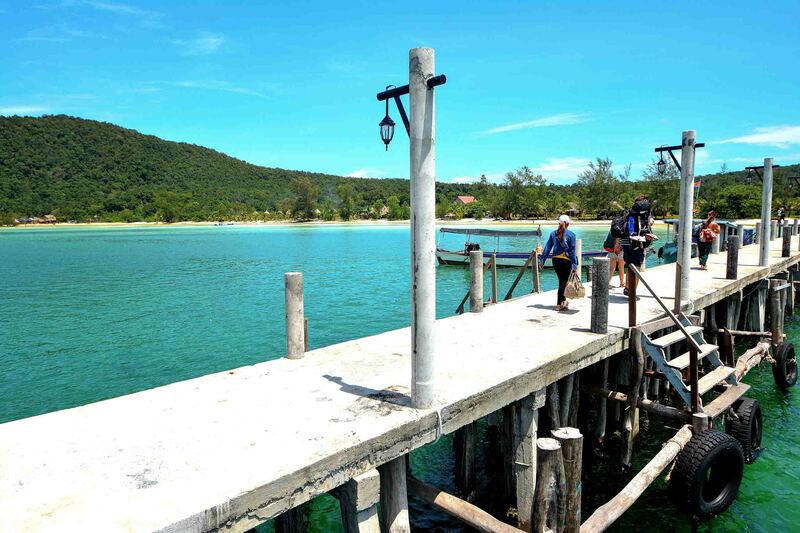 Koh Rong is changing fast, and most people can picture how the island will look in the near future. Located 25km from Sihanoukville, in the gulf of Thailand, four tiny towns gather around a thousand villagers. Phearun, 25, lives in the main village, where the tourist ferries from Cambodia’s state the changing environment of the island. This young man owns a kayak rental business located under the palm trees that separate the beachfront from the jungle. He’s the youngest of five workers, but he speaks English, and this beats anything in a paradise land sold to tourist desire. Nowadays, all kids go to school –a surprising rate in a country where only 61% of children finish primary studies according to UNICEF–. They learn, of course, the universal language of tourism. Phearun’s associates didn’t care much for English, so they spend their days pulling and tucking the kayaks their boss rents at a “golden price” –that is, reasonable for tourists and a fortune for locals. “I’m from another part of the island, but when they told me that there would be electricity all day, I came to open my own business”, explains Phearun. He sees tourism with good eyes, the same as the rest of young people who decided to stick around when there was nothing to do on this tiny island. “I hope that tourism grows and I can get my younger brothers to work with me one day. For now they go to school and I don’t let them go to Sihanoukville, because it’s a dangerous city and nobody cares if children go to school or instead start working when they’re only ten or twelve years old”. 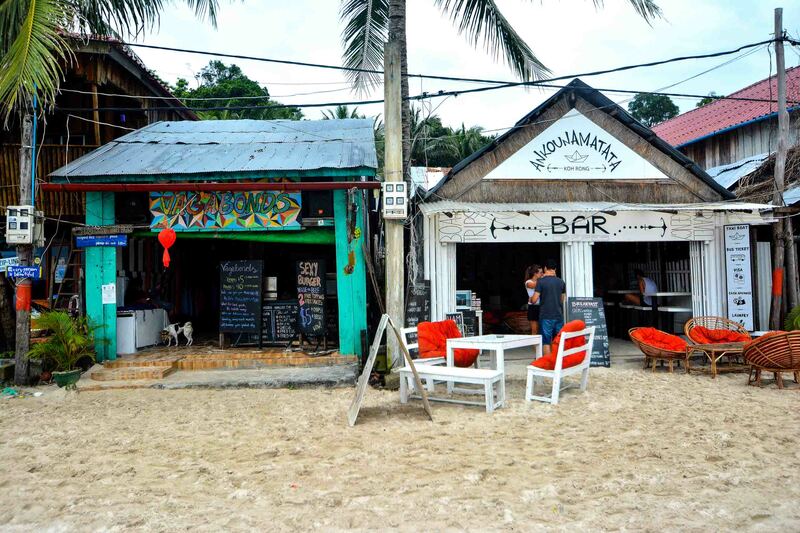 Bars are crowding the coastline of Koh Rong pretty quick. Samnang, 23. Koh Rong, Cambodia. 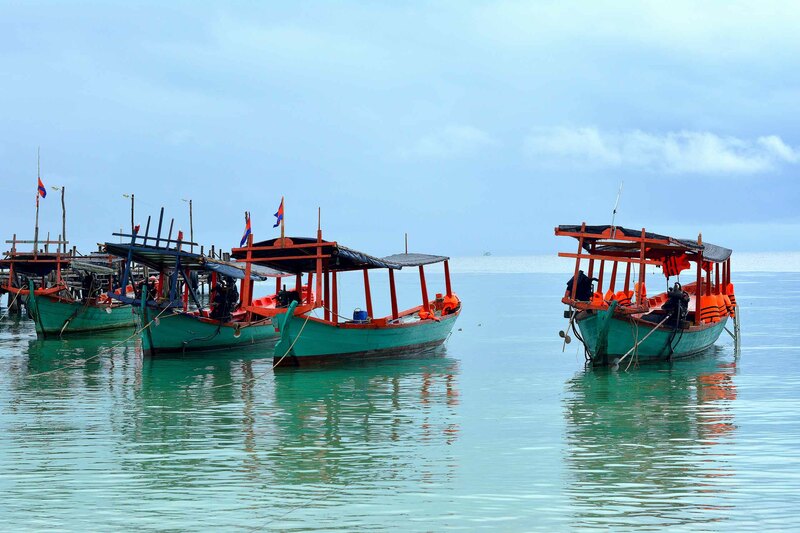 Phearun’s dream of buying a boat and become a tourist guide and PADI instructor is closer since China augmented the investment on Sihanoukville’s coast to a 100 million dollars. The maths for both sides are pretty simple. Cambodia’s government sees how the small stretch of seaside will become a main tourist destination for one of the world’s biggest populations. The Chinese, on the other hand, expect to get cheap pieces of land to develop infrastructure such as giant casinos, motorways and marinas. The profits flow on both sides. 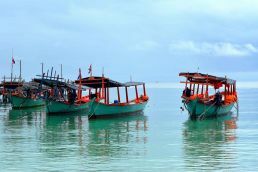 Although Southeast Asia is trending amongst young westerners around the world, the bulk of Koh Rong’s tourists come from China. The industry has registered a 400% increase in the last few years thanks to cheap airplane tickets and the tiny cost of living. There is only one problem: backpacker life is not so attractive to a Chinese middle class that prefers spending their scarce holidays in hotels or resorts with all-included policies. This is why Cambodia’s government is having a think or two about the 99 year exploitation contract with these investors. Koh Rong, and specially Koh Rong Sanloem, its little sister, still preserve a lot of virgin beaches without touristic intrusions. You can camp in white sand beaches, in front of the turquoise sea, far away from the noisy dancehall music from the pubs around town. 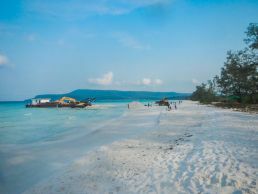 The planning of the Royal Group, a conglomerate of businesses that invest in diverse sectors of Cambodia’s economy, are to fill these wonderful stranded beaches with big resorts and busy nightlife clubs. Jesús Bolinches has visited this island three times in the past four years. He’s a living testimony of how it has radically changed. “Four years ago we were camping in Long Beach for one week. In two years, a permanent campsite hosting up to 150 people was already in place and a honky-tonk run by foreigners”, recalls Bolinches. He was even more surprised when he found out, one morning, that a barge was approaching the paradise beach with three giant excavators. “They put them down and started to deforest the jungle, I couldn’t believe my eyes”. This summer, Jesús wanted to show his parents what was left of his long yearned paradise in Cambodia’s coast. He was fearful of what he would find in Long Beach. How much could it have changed after another two years? 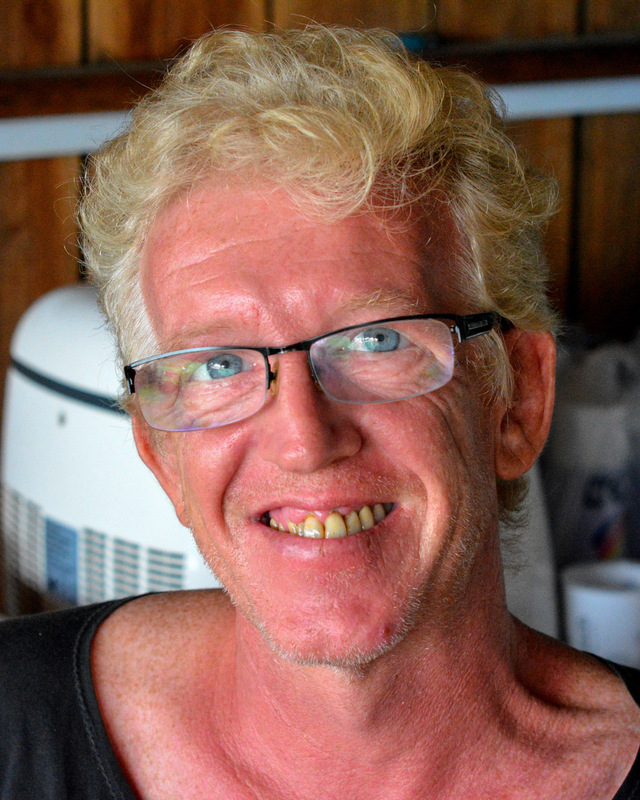 “I ventured to cross the island and when I got to the top of a hill I saw disaster”, he says. His campsite was now a big resort, his snorkeling beach a marina for fancy boats. 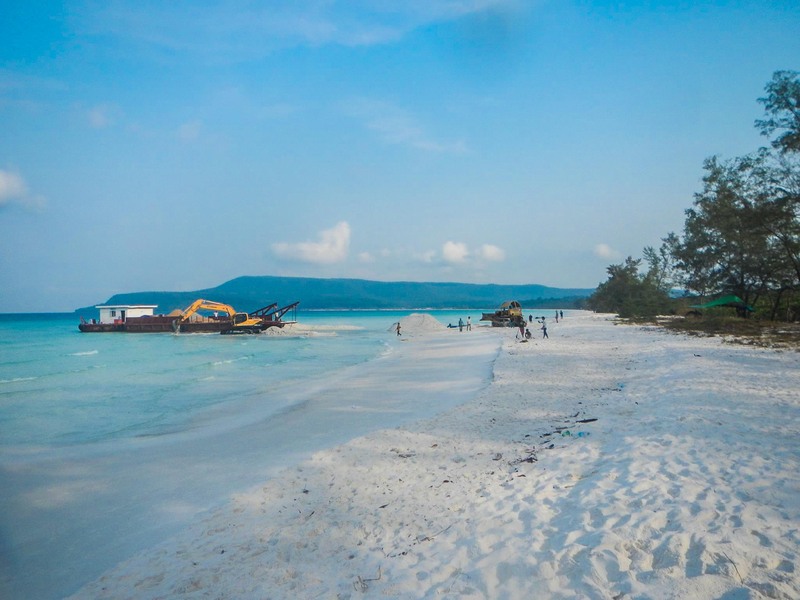 Koh Rong has the potential of becoming a sister island to Thailand’s Koh Phi Phi or Indonesia’s Bali. The vision of tourists –seeing the island as an uncut diamond discovered– and the population –that has to live from it– are completely opposite. The tourists will go back home and boast about their discoveries, ironically contributing to the process of massification they want like to stop. The locals will look back at the early years, jobless and penniless. Mass tourism might kill the richness of the island, the raw beauty of it… but it will also translate into money, jobs and a better life. 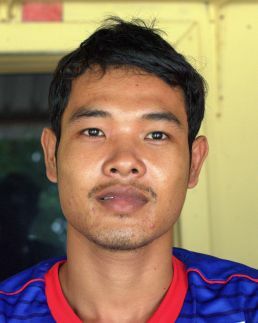 Samnang, a 23 year old, fled to Sihanoukville to work but came back home two years ago. The tourist boom made for great opportunities. “It’s good news that they’ll build infrastructures so more people can stay in the island. Every investment attracts more tourists, this translates into money”. 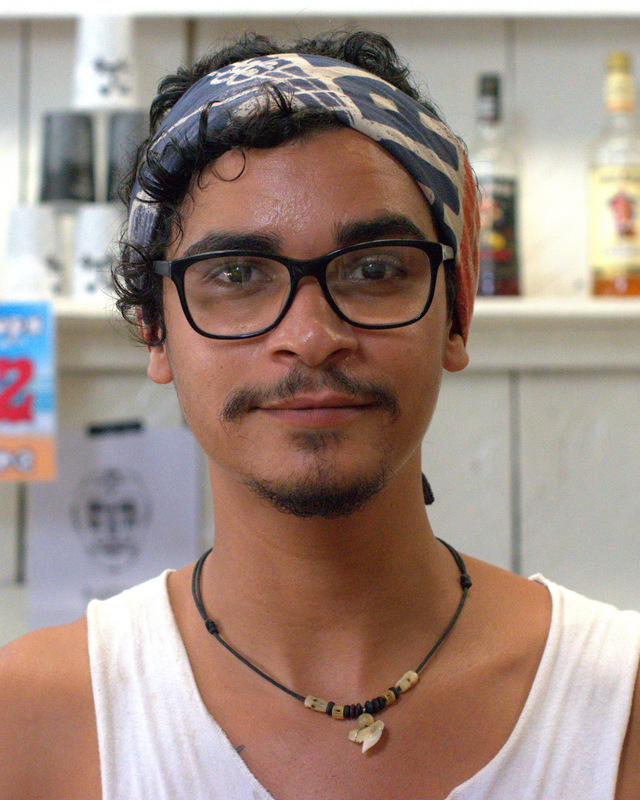 He now works in a bar owned by foreigners that stayed over when they discovered the island. 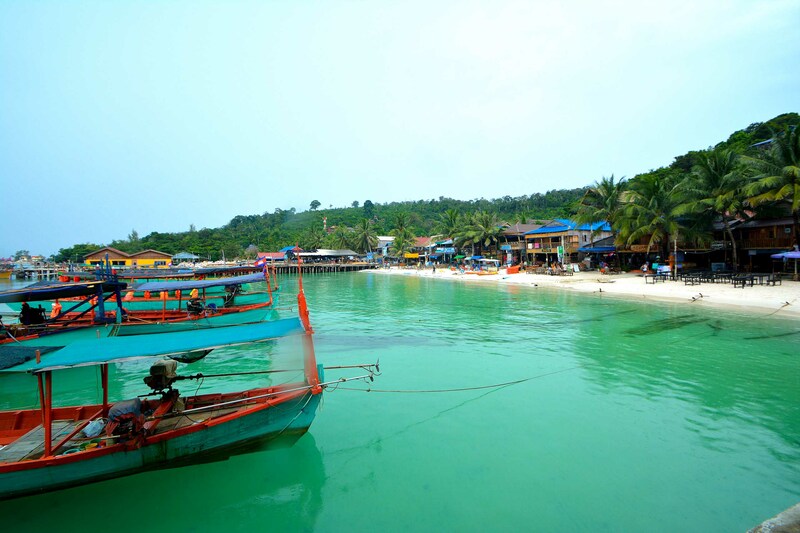 The beach and party vibe in Koh Rong contributes to the degreadation of the coastline. “No one cares about the nature and the landscapes inland, so it’s not an issue if it gets urbanized”, points the young man. One of the foreigners that has lived the longer on the island is Gary, a Frenchman that owns the only cashier stall in the whole island (there are still no ATM’s available). This expat came to Cambodia when he was 24 and now, at 56, celebrates his fifth anniversary living on the island. “They will make the rest of the island look like a copycat of Sihanoukville’s coastline, and this will ruin everything”. He is, nonetheless, contributing to the phenomenon since he makes a living from tourists coming over. 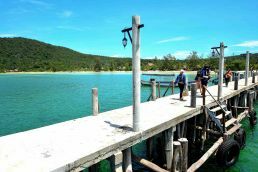 If the Cambodian government promotes this kind of tourism, nothing will stop Koh Rong from being another wrecked paradise. Gary looks at a bunch of trash piled next to the abandoned fishing boats. He looks resigned. He sighs and stares into oblivion while the loudspeakers from the bar contaminate the natural richness of this beautiful place on earth.